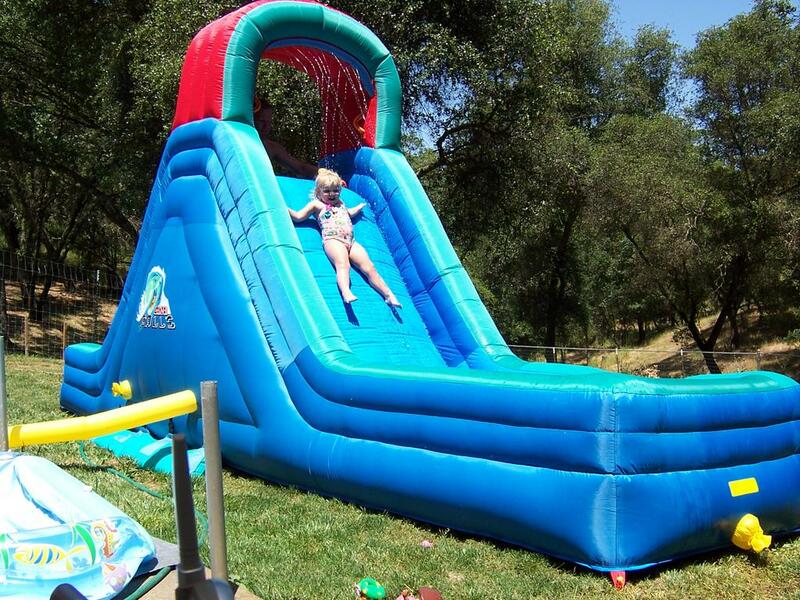 For Dylan's 3rd birthday last month, Mike's dad sent her an enormous waterslide! Lucky kid. Watching her slide down over and over again reminded me of my own child hood and the places we used to go to ride the water slide. I remember the excitement associated with knowing where we were headed. 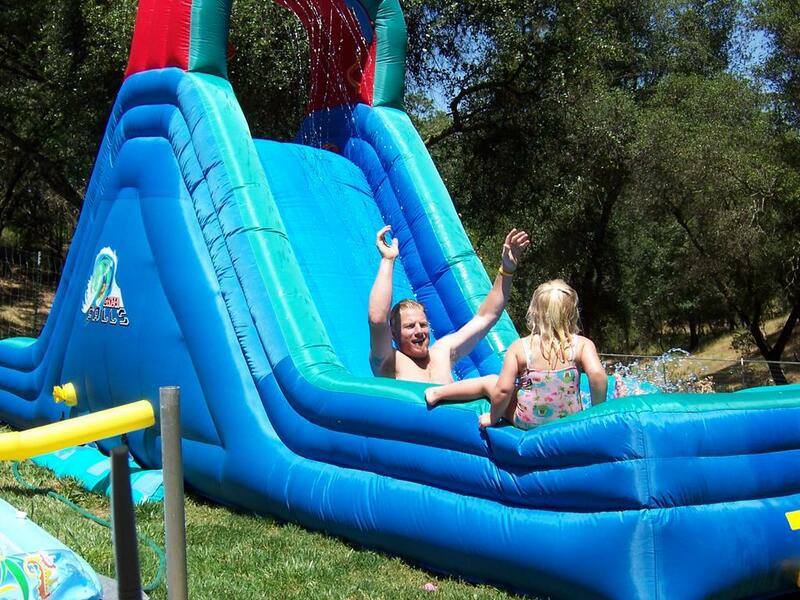 I actually remember my first water slide. It was at a place off the 60 fwy in So. Cal that also had miniature golf, race cars, etc. I must have been fairly small because I had to ride with my brother. The experience began at the bottom of a fake mountain where we grabbed a yellow, squishy pad to ride down on, we slowly hiked up the stairs and waited in line. My brother told me not to cry or he wouldn't take me again. (Funny to think how kind he is now as an adult...) The ride was exhilarating and so much fun! The water up my nose didn't even scare me. I remember my Dad went with me the next time because my brother didn't really want to ride double again. Years later we often went to Raging Waters and it was more of a place to pick-up boys. During those teen years I never once thought twice about wearing a bikini to the water park. My how times have changed. As much as I love the thrill of the waterslides, you wouldn't catch me dead wearing a bathing suit without some sort of cover-up at one of those water parks now. 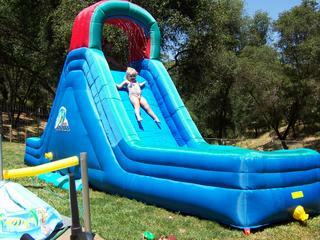 Lucky for me, my father-in-law was creative enough to send Dylan her own waterslide so I shouldn't have to visit a water park for a few more years!!! !